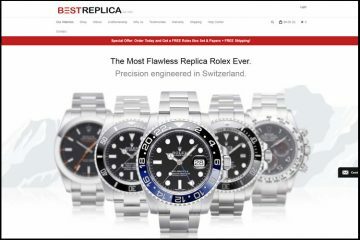 There are countless replica watches websites that claim to sell the cheapest high quality imitations on the web. 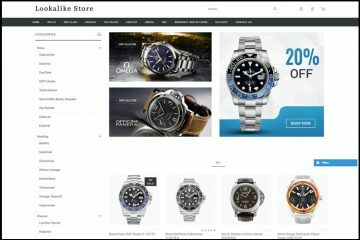 All of them try to get our attention by having a sleek designed website, low prices, beautiful product pictures, free delivery and numerous other attractive offers and services. Don’t get fooled by them. Before placing the order make sure they offer what they promise and, above all, that they can be trusted. You don’t know how to find out all these things? Below you have everything you need to know. Today, we will review Mowatch.cn which is anything but an elegant and friendly looking online store. It is actually pretty common as far as appearance goes. Its design is pretty dull and impersonal. It doesn’t say anything good about the quality of its products or services. By using a gray background, a sloppy name logo, a poor banner and improper layout it manages to appear tacky and unattractive to its visitors. I don’t know who came up with this awful design, but he sure did not know what he was doing. The homepage has two menu bars. The first one is located at the top of the screen and it includes buttons for the most appreciated brands, such as Rolex, Tag Heuer, IWC and Breitling. The second one is in the left side and it displays all the available designer names which aren’t few. It goes without saying that this merchant is very keen on offering a collection that is as diversified and inclusive as possible. The actual problem with its wide selection of replicas is that these aren’t organized into sub-collections and there is no Advanced Search or Filter. You basically need to browse dozens of pages, one by one, until you find the model which interests you. If you were looking to get a cheap replica watch then this is definitely the right place for this. The company sells incredibly affordable knockoffs, perfect even for the most modest budget. The very important thing I should mention here is that Mowatch.cn sells only Japanese automatic movement fake timepieces which are basically the lowest priced clones around. Still, a Japanese imitation is quite authentic looking and also offers pretty good time accuracy. The product pictures are a real mess. It’s incredibly hard to overlook this very concerning aspect- the images are copied from at least 5 different catalogs. Obviously, you can’t trust a company that doesn’t have its own studio photos, but prefers to use pictures taken from many distinct sources. The quality, number of images and setting varies from replica to replica, proving that this merchant is very unreliable when it comes to the quality of its products. Who knows if what is displayed in the pictures is what it will be delivered to us? I usually do not encourage replica watches customers to order from a website that accepts only credit card payments. Something about this limited selection of payment options make me think that the company isn’t professional, reputable and stable enough. A company that is really concerned about meeting its customers’ expectations will always try to find secure and easy to use alternatives. As you have probably already guessed, Mowatch.cn accepts only Visa and Mastercard. And, in case you were wondering, the page where you are supposed to enter the card details isn’t secure and encrypted for these types of transactions. Were you happy to see that this store has such low prices for its replicas? Then you can stop celebrating as the cheap prices are compensated by the delivery fees. 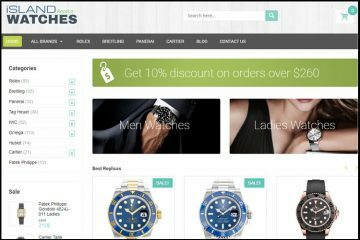 Unlike most replica websites, this merchant does not offer free shipping. The fee for delivery is applied for every single order and it depends on the destination country. It mainly starts at $20 and it can reach even $50. The packages are usually sent with EMS and the delivery takes about 7 business days, but for some countries the default carrier is DHL or UPS for which the estimated shipping time is 3-5 business days. The refund and exchange policies are just absurd. It seems that you can return the replica watch only if the company has sent you the wrong product. You can’t request a refund or exchange if you do not like the item or if you have changed your mind, even if you notify the store before the first 5 days from the delivery run out. Here, there is no such thing as a “no questions asked” money back guarantee. And let’s not forget the fact that the customer has to pay for all the return shipping fees and that a 15% restocking fee will be charged for processing your refund or exchange. Honestly, I wasn’t expecting over the top customer services or agents with a remarkable level of professionalism, but still I was hoping for something more than an average Gmail account and a Live Chat button that doesn’t work. I really don’t know what these websites are thinking when they add a Live Chat button on the page if they don’t have any intention of making it work. By doing this they manage to shatter our trust even more. 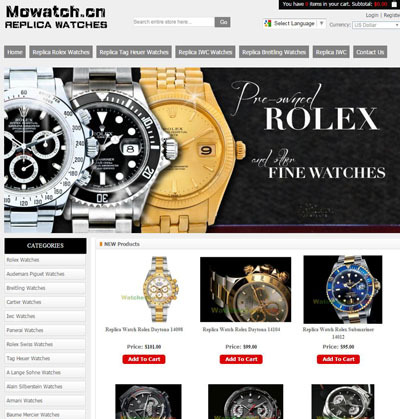 Mowatch.cn is the type of replica website from which I would never order a thing. There are many reasons for this. The most concerning ones are the copied product pictures, the unsecure credit card processing page, the unfair return policy and the unreliable customer services. 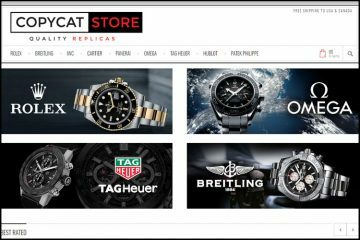 For me, this online store is the opposite of what I consider a trustworthy fake watches site. There seems to be a difference between the reviewed Mowatch.cn and mowatches.to correct? As I’ve seen the latter get good reviews (although not sure if genuine) elsewhere….